Almost 70% of American households have at least one pet, however, their hydration probably isn’t something we spend much time thinking about. Just like humans, our furry companions are made up mostly of water, and are highly dependent on it for optimal health. The bottom line is, if you’re concerned about the water you’re putting in your body, you should give that same concern to any dogs or cats drinking the same water. Tap water is often the most common source for dog and pet drinking water. While that’s not inherently a bad thing, it warrants some extra effort to ensure that water is clean and safe for your pets, especially if you use a point-of-use filtration system. The best and most comprehensive way to determine what’s in your tap water, and as a result, what is in your pets’ water dispenser, is to have your Tiffin and Fremont Area Culligan Man test your water. They can do this (for free!) on your schedule. The whole process takes about 15 minutes, right in your kitchen. They’ll discuss results with you and make any recommendations about the results of your water test. It’s especially important to have your water tested regularly if you rely on well water, as minerals and other impurities can find their way into those water supplies more easily than municipal water districts. Many Americans have hard water, and one of the ways to deal with it is to filter out the hardness-causing minerals like calcium and magnesium. Trace amounts of these minerals can be beneficial, but many pets consume these minerals in other forms, like their food. Soft water can present its own set of challenges for pets and pet health. Most water is softened through a process that involves salt, and often, it can increase the sodium content of water, which can be problematic if your pets are sensitive to sodium in elevated levels. One of the best ways to make sure you’re using the best water for your dogs or cats is to use a water filtration system. Water filters generally use different technology (like reverse osmosis, for example) to remove minerals and impurities from your water. The result is water that is fresh and clean, and free of any additives that come with most municipal water sources (like chlorine and fluoride). Whether you choose a whole-home water filtration system, or a point-of-use filter that fits under the kitchen sink, your pets will thank you when their water is freshly filtered, and you’ll be able to rest easy knowing your water is safe and healthy for you and your best four-legged friends. Ready to turn on better drinking water for your pets? 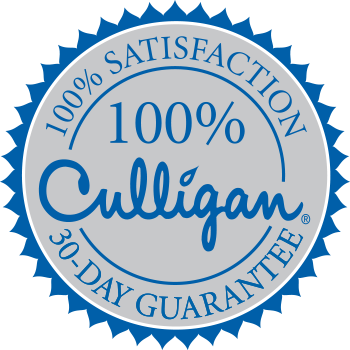 Your Culligan Man can help, today!